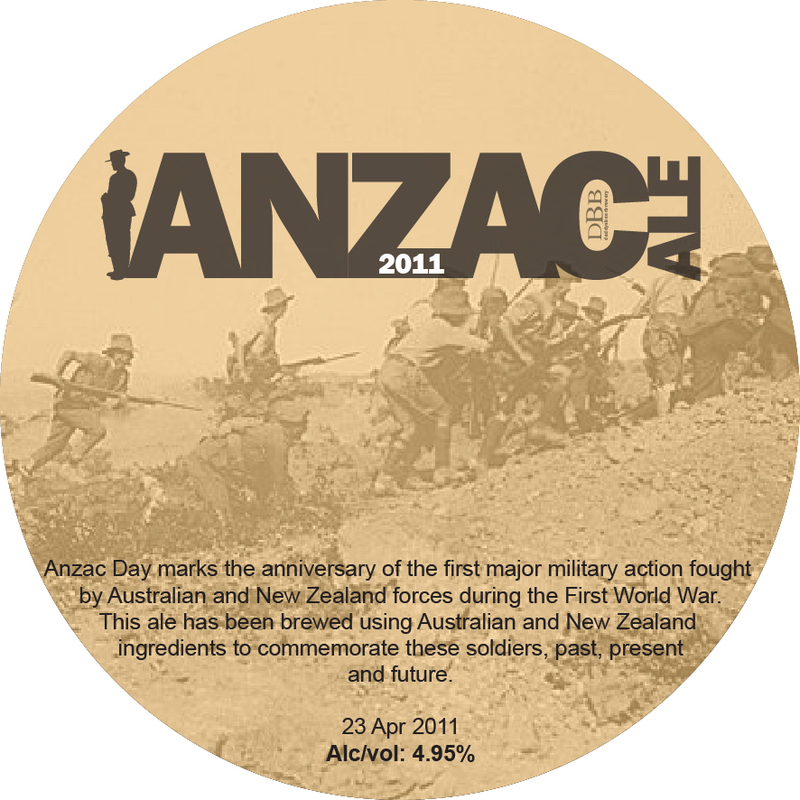 This years Anzac Ale is finishing fermenting and will be kegged shortly ready for consumption on the day! I’ve changed the recipe slightly this year by bittering with POR and hopping for flavour and aroma with only NZ Nelson Sauvin. You can see the tap artwork to the left which will be put up once the brew has been kegged and on tap. 0 Min addition add after 5 days fermentation.